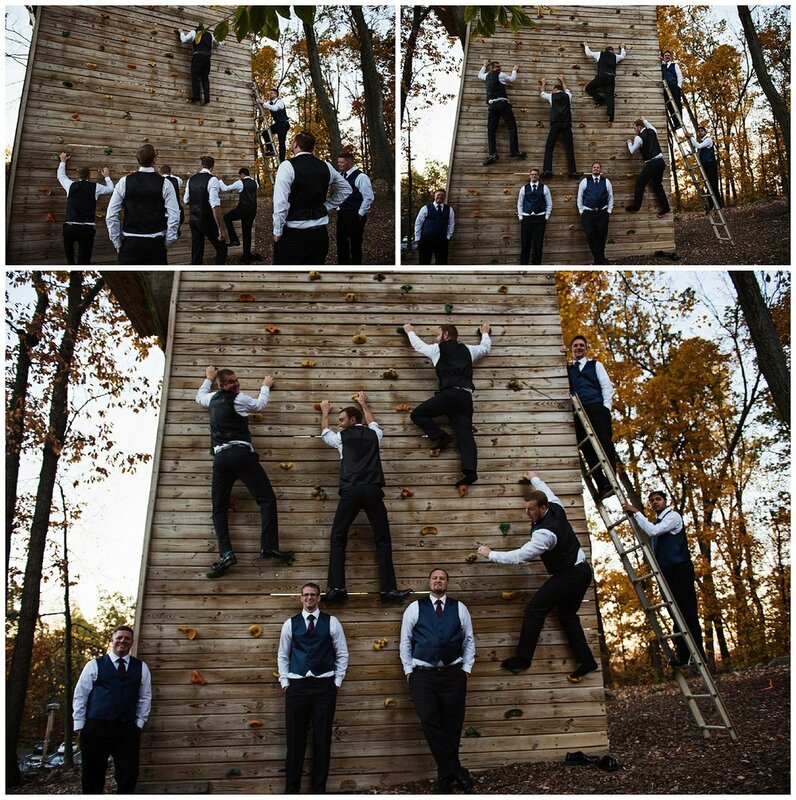 PA Wedding Photography- Liberty Mountain Fall Wedding- Alyssa & Michael — Love & Adventure Photography- Baltimore Maryland Wedding & Adventure Photographer. 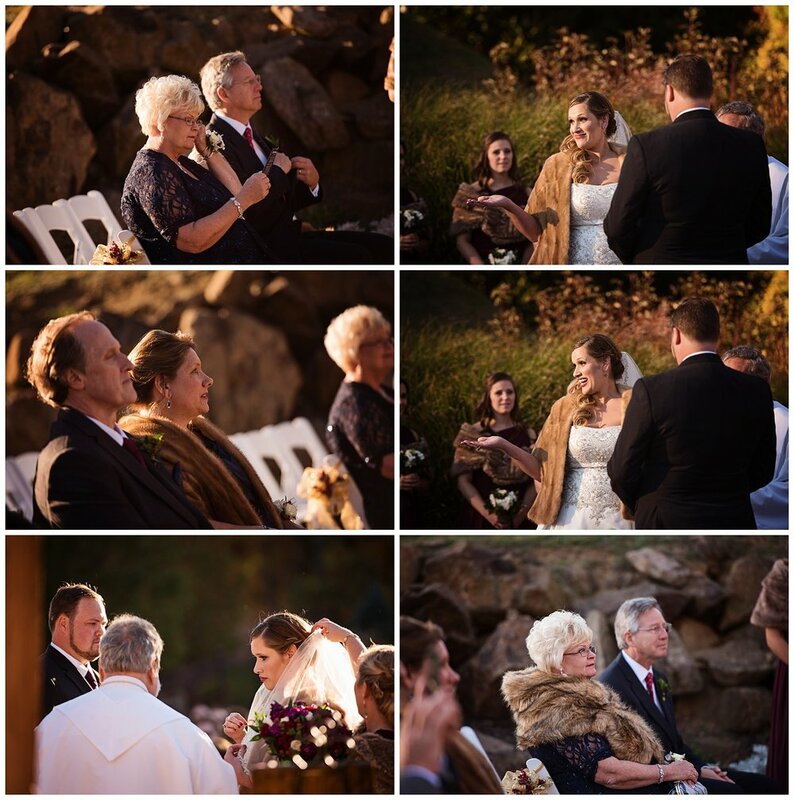 Alyssa & Michael had the most beautiful November wedding at Liberty Mountain Ski Resort. You seriously couldn't pick a more perfect day or location! The weather was in the 60's the trees were the perfect fall foliage colors and the sky was bright and blue! There are 3 hotels on the property and Alyssa & Michael's family and friends took over all of them! It was literally a party resort just for them for the weekend! 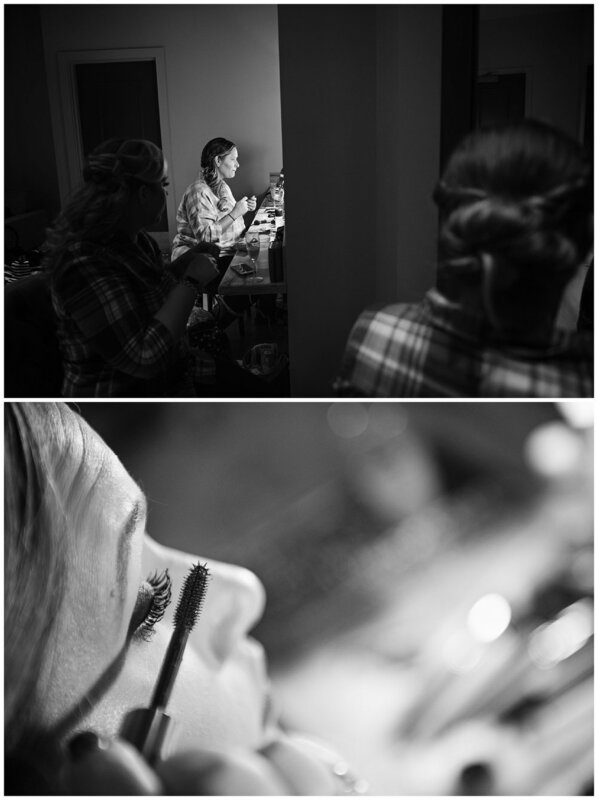 Alyssa and her girls got ready in the Bridal Suite where Alyssa the amazing make-up pro that she is did her own make-up while her and the girls enjoyed Apple Cider Mimosas. One of my favorite moments from their wedding was at their first look I told Michael after I count to three you can turn around whenever your ready. In his excitement, he missed the after I count to 3 and immediately turning around. After realizing he had turned to early he jumped back around and we all just started laughing. In true Gilligan fashion their first look was unique to them. 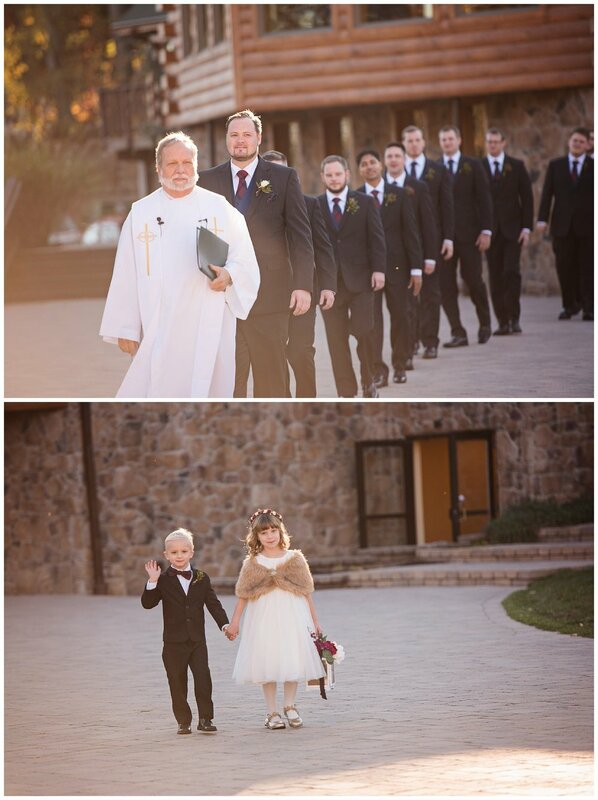 Their reception was a huge party where the flower girl and ring bearer did try to steal the show. The real fun was when Paradise by the Dashboard light came on and on split sides the girls and guys traded parts singing back and forth. After the wedding was over we played with Sparklers, the stars, and smoke bombs for even more fun photos! Proposal Story: Michael proposed to Alyssa on July 4, 2015 at his aunt and uncle's beach house in Brigantine, New Jersey. He proposed on the docks overlooking the bay on a beautiful sunny day. Alyssa was so shocked that she hit him! He coordinated Alyssa's family and closest friends to join his family in New Jersey. 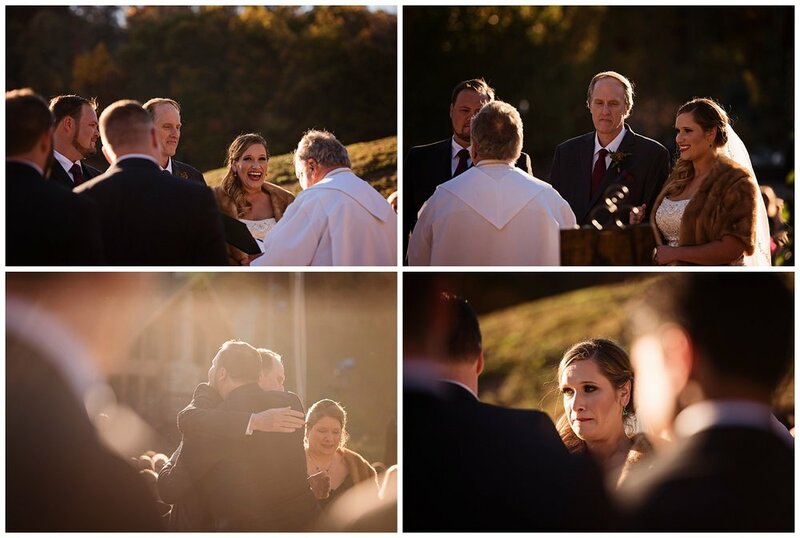 Upon seeing her family and friends, Alyssa became overwhelmed with emotion and started to cry. It was a perfect proposal that embodied what Alyssa and Mike stand for: family, friends, laughter, and love. 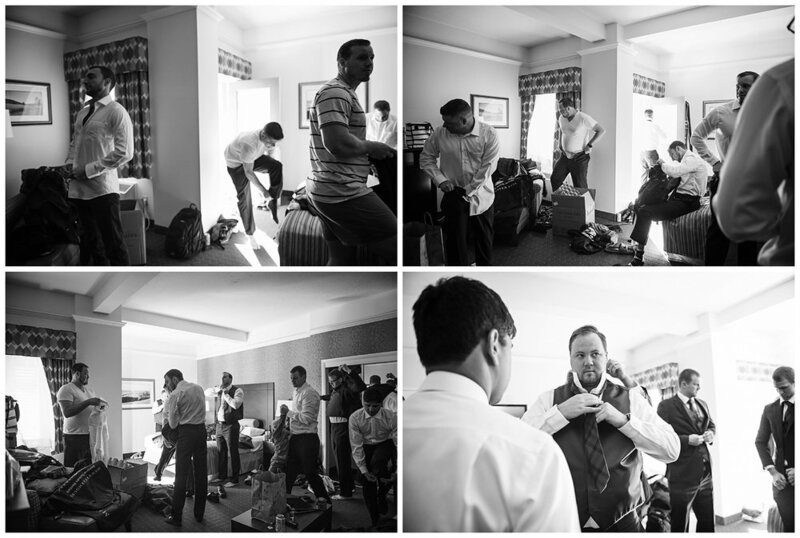 What went in to planning your wedding: It's all in the details. 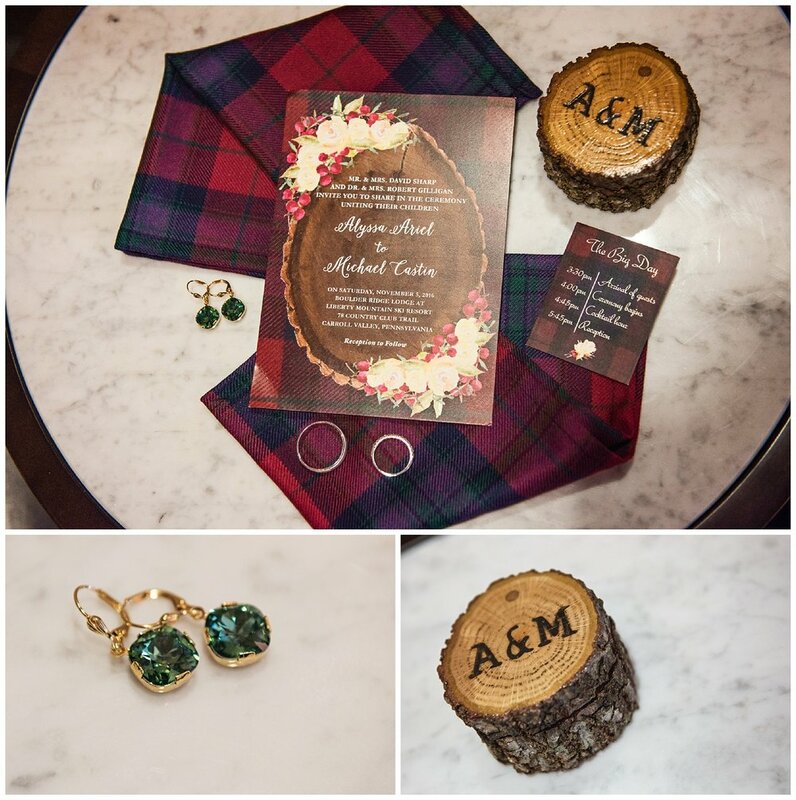 We imported a scottish tartan from Scotland and had the runners custom made by a family friend. 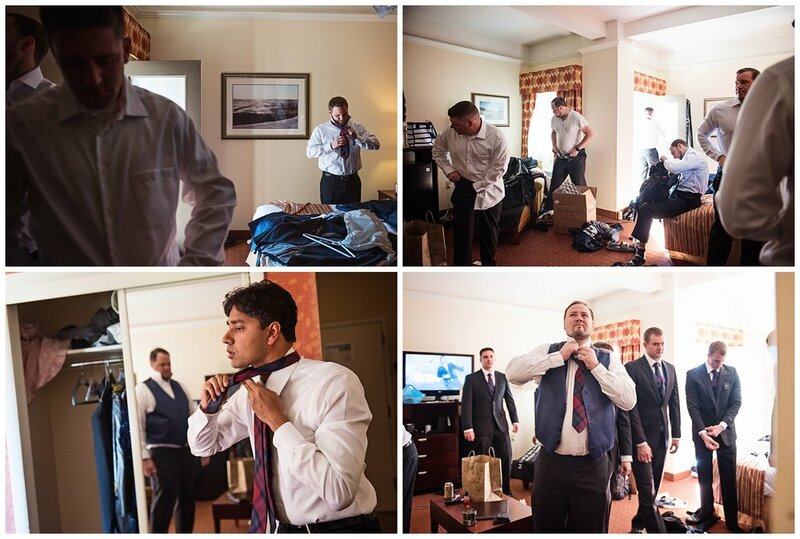 The entire wedding was inspired by this plaid and was echoed in the ties, ribbons, runners, and invitations. My sister-in-law (Elaine) and I designed the stationary ourselves and it only took about 6 versions! ;-) The ceremony was masterfully planned by my mom (Tammy). She coordinated the horse drawn carriage with a grand entrance serenaded by bagpipes and a string trio. The wedding was filled with small personal touches from friends and family: The guest tree painting was painted by my bridesmaid Sarah Daugherty, the engraved cake cutting set was a gift from mother of the groom (Gloria), and the Kate Spade champagne flutes were a gift from Elaine. The night ended with all of our guests gathered around the fire pit roasting S'mores which was their favor!